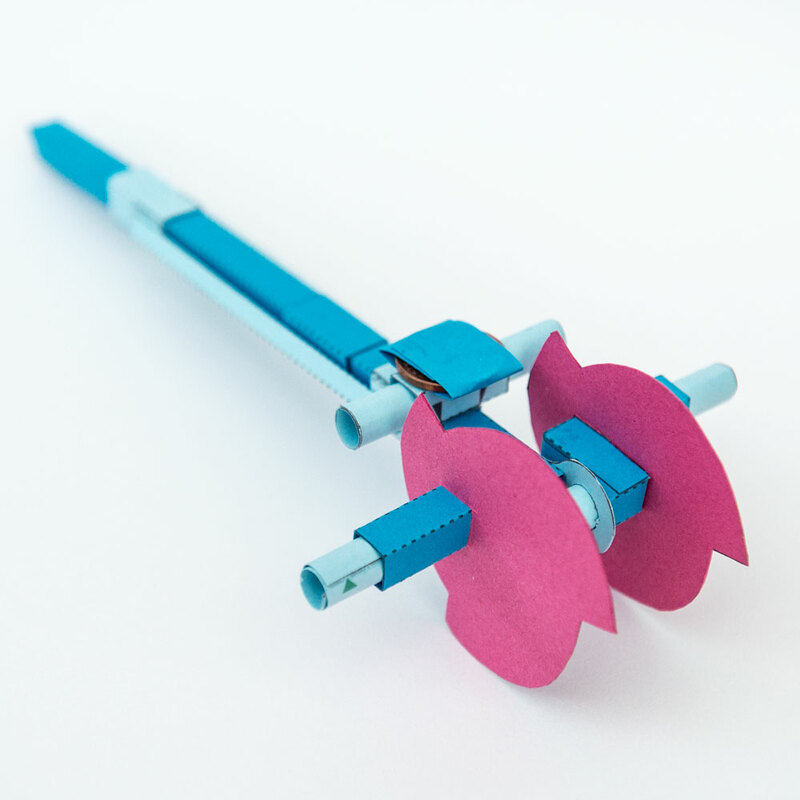 There are all sorts of mechanisms ready for you to use as starting points for your own designs. Check out the Essential Mechanisms section to see all the different designs currently available. 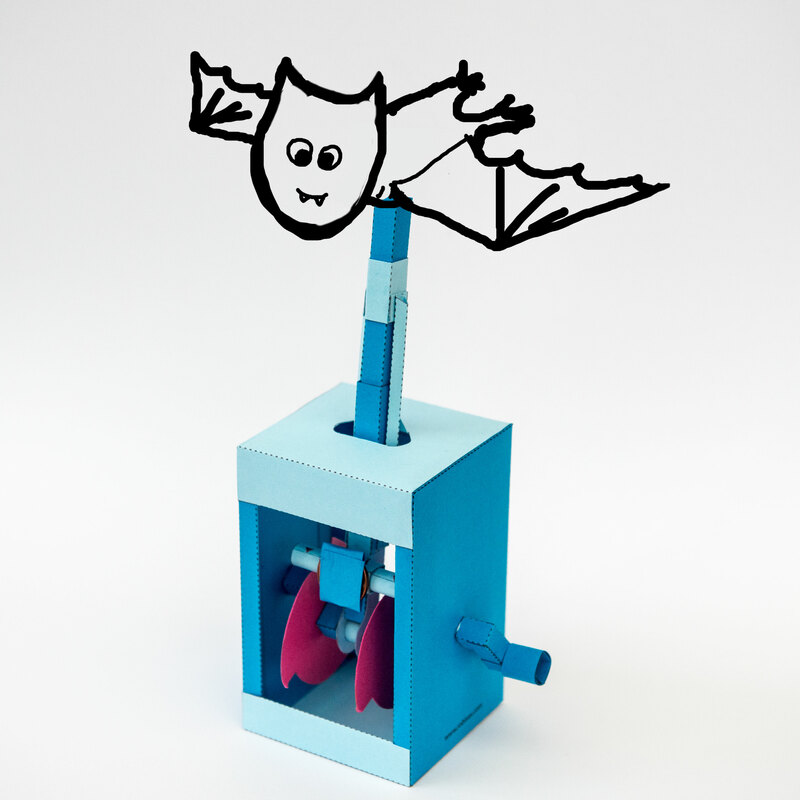 With Halloween coming up I thought it might be interesting to make a fluttering bat model. I’m starting with the Crank/Cam Essential Mechanism, in this mechanism, a crank moves the main shaft so that the end follows a curved path. At the same time a cam engages with a push rod moving it up and down three times for each turn of the crank handle. 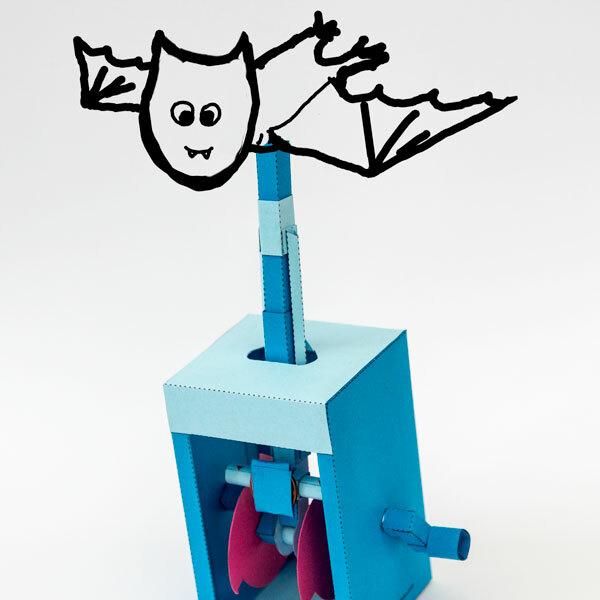 Connect the push rod to the bat’s wings and it should make for a rather nice fluttering motion. 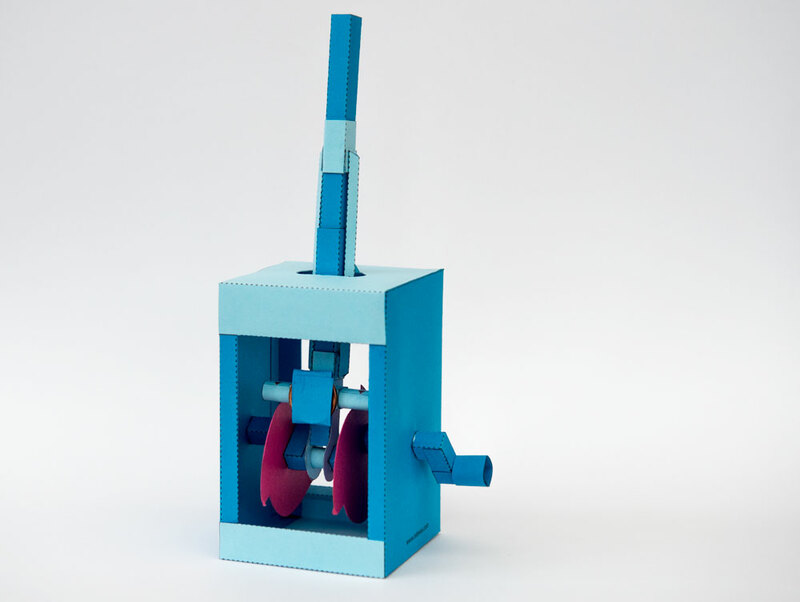 Here’s the mechanism out of the box – just cos it looks good! Next step – make a bat and link it up.